Many dog parents are looking high and low for the perfect hypoallergenic dog shampoo for their dogs. But what exactly is “hypoallergenic”? If a shampoo is labeled “hypoallergenic dog shampoo”, does that automatically mean it’s good to use for all allergy-prone dogs? If not, what should we look for when choosing a shampoo for our dogs? This post tries to look at all these questions and more. A “hypoallergenic” product is supposed to be less likely to cause allergic reactions in those who use the product. So, many of us assume that a hypoallergenic dog shampoo contains very few potential allergens in it. As such, dogs using the shampoo are less likely to have an allergic reaction. The problem is, in the United States, non-medicated dog shampoos, including “hypoallergenic shampoos”, fall under the category of “grooming aids”. These “grooming aids” are not regulated by FDA or any other government agency. “Hypoallergenic” is neither a legal nor a scientific term. It simply means that the manufacturer has chosen ingredients to produce a finished product with minimum potential for causing allergy. This does not guarantee that the product will not cause an allergic reaction in some individuals, since people are allergic to a wide range of substances. Because there is no regulation on the use of the word “hypoallergenic”, manufacturers can use the term very loosely. 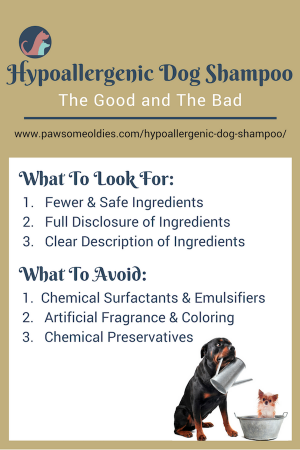 You will be surprised to find questionable ingredients in some so-called “hypoallergenic dog shampoos” (see below). Also, many dog parents are under the wrong impression that a “hypoallergenic dog shampoo” would NOT cause any skin irritations or allergic reactions in any dogs. That is of course not true. The thing is, all dogs are individual beings. They react differently to even to the same ingredient. So it is important to understand that there isn’t such a thing as a “hypoallergenic dog shampoo” that is universally suitable for ALL dogs. 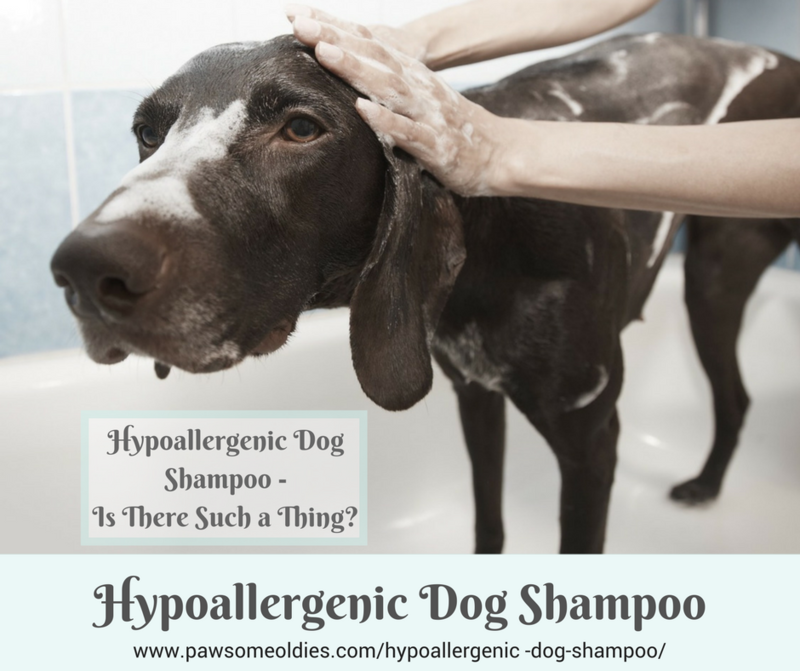 OK. with the understanding that even a so-called “hypoallergenic dog shampoo” can cause allergic reactions in some dogs, what then should we look for when choosing a shampoo for our dogs, especially if the dog has super-sensitive skin? Look for a shampoo that doesn’t have a long list of ingredients. 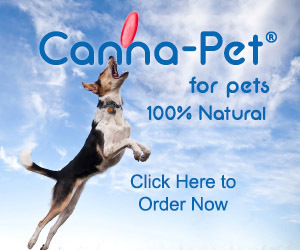 The fewer the ingredients, the fewer the chances of your dog reacting adversely to the ingredients. Simple math! Sometimes some products only have just a few “featured” ingredients listed. They don’t fully disclose all the ingredients. In such a case, either go to the manufacturer’s website to see if they have a complete list, or call them directly to find out. If they are unwilling to disclose, choose another shampoo! You may have seen some shampoos with descriptions such as “a proprietary blend of herbs”, or “a blend of natural oils”, or something similar. This kind of wording should also be questioned. We need to know exactly what goes into that “blend” to ensure that the “blend” doesn’t contain something that might be harmful to our dogs. Manufacturers of many chemical-laden dog shampoos often boast that their products are rich and thick, “lather well”, and “clean well”. Sulfate is a foaming agent. It also acts as a surfactant, which is a substance that reduces the surface tension of water. It helps loosen the grease and dirt from the hair and skin. Some common sulfates used in shampoos include sodium lauryl sulfate, ammonium laureth sulfate, and TEA lauryl sulfate. While sulfates are not carcinogens, they can be very drying to the skin because they strip the oils from the skin. If your dog has dry skin, using a shampoo that contains sulfate could possibly cause skin irritation. Ethanolamines also act as a surfactant, and include cocamide DEA, cocamide MEA, Triethanolamine, diethanolamine, etc. They pose health risks such as organ toxicity and is found to be a potential carcinogen. Cocamidopropyl Betaine is a common cause for skin and eye irritation, and eczema. Propylene glycol is used as an emulsifier or co-surfactant, but is also used as a humectant, and a solvent for fragrances and preservatives. According to ewg.org (Environmental Working Group), propylene glycol can cause irritations in the eyes, skin, and lungs. In people, it can cause hives and allergic contact dermatitis at concentrations as low as 2%. Polysorbate is a surfactant and emulsifier. It is obtained by treating the harmless sorbitol with ethylene oxide, which is carcinogenic. This is a no-brainer. Dogs have a sensitive nose, and some dog shampoos have such strong and irritating smell that dogs get really stressed by the smell! And if there is artificial fragrance, you will usually find phthalates, which are chemicals used to make synthetic fragrance last longer. But phthalates are known to be a potential carcinogen and are also associated with reproductive problems and birth defects. Artificial coloring in shampoo – Honestly, do we care what color the dog shampoo is? All these preservatives cause not only skin irritations, such as itching and burning, but some may even be neurotoxins. Avoid shampoos that use any of these preservatives at all costs! Look for a shampoo that uses natural preservatives, such as vitamin E, rosemary oil extract, grapefruit seed extract. You may even want to get a preservative-free shampoo for your super-sensitive dog! If so, be sure to get a smaller bottle so you can get through it before the expiry date. Now that we know what’s good and what’s bad to have in a safe dog shampoo, let’s take a look at some best-selling “hypoallergenic dog shampoos” on Amazon.com. They are all U.S. certified organic ingredients, detergent-free, paraben-free, and sulfate-free. This product has so far received 90% of good comments (4 and 5 stars) on Amazon.com. But a few pet parents said the shampoo made their dogs’ hair dry and not soft. It is unscented. Most dog parents found this shampoo to be mild and non-irritating for their dogs. The only common complaints were about the packaging – Some bottles leaked during shipping. No complaints from dog parents! This “Amazon’s Choice” product is on the top of the list of “hypoallergenic dog shampoos”. The problem is, they only list their “featured” ingredients. What is the cleansing agent? Soap? If so, is the soap natural or chemical? What are the other ingredients? We don’t know unless we contact the manufacturer. While they have received quite a few 4 and 5 stars, some pet owners complained about a “strong artificial perfumy fragrance” and some said it didn’t clean well. This product is one of Amazon’s “best sellers”. It contains, among other things, “glyceryl stearate”, “blend of cherry botanical extracts”, and “EGDA”. Glyceryl stearate is a chemical surfactant. EGDA (Ethylene Glycol Diacetate) is a chemical that can cause skin and eye irritation. Blend of cherry botanical extracts – what exactly are they? Glyceryl oleate: According to ewg.org, this compound causes irritation to the skin, eyes, and lungs. Sodium benzoate: This is also a preservative but may cause organ toxicity. In Japan, it is restricted for use in cosmetics with strict concentration limit. While it has received many good reviews, some dog parents complained the shampoo left their dogs’ fur dry and coarse. Water, Sodium Laurel Sulfate, Sodium Laureth Sulfate, Sodium Chloride, Cocamidapropyl Betaine, Cocamide DEA, Glycerin, Aloe Vera Gel, Triethanolamine & Sodium Polyacrylate. Purified Water, Ammonium Lauryl Sulfate, Sodium Laureth Sulfate, Cocoamidopropyl Betaine, TritonX-100, Glycerin, Proquinton CG (preservative), Extra Virgin Coconut Oil, Polyquaternium-7, Fragrance, Sodium Chloride. I am so surprised that they could actually call their shampoo “hypoallergenic”! Note that the above list of so-called hypoallergenic dog shampoos is not a complete list, just a few examples to give you an idea of what makes a good dog shampoo, and what not. The most important point to remember is, there is no such a thing as a hypoallergenic dog shampoo that is good to use for all dogs. Even getting a dog shampoo with all good ingredients is no guarantee that your dog will not develop skin irritations or allergic reactions to it. 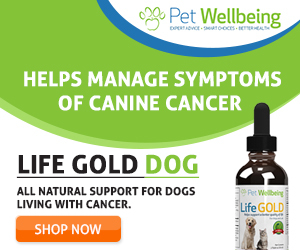 What seems to work well with a lot of dogs may still stimulate severe itching in YOUR dog if he happens to be allergic to one of the ingredients. When trying a new shampoo for the first time, use it on a small area of your dog and see what happens. Yes – choosing the right shampoo for your dog is a matter of trial and error!